Changes to the U.S. Army Reserve organizations from 2005 until 2007 redesigned the unit as the 84th Training Command (Leader Readiness) and it was paired with the Army Reserve Readiness Training Center (ARRTC). The flag resided at Fort McCoy, Wisconsin. As a result of Base Realignment and Closure (BRAC) throughout the Army, the 84th Training Command (LR) was moved to Fort Knox, Kentucky in September 2008. Since the move, the 84th Training Command and ARRTC split, leaving the ARRTC with leader readiness and training support. The 84th Training Command was re-designated once again to 84th Training Command (Unit Readiness). In September 2010, the 84th was renamed 84th Training Command and began reorganization. The 84th mission currently supports three training divisions – The 78th Training Division (Ft. Dix, NJ), the 86th Training Division (Ft. McCoy, WI), and the 91st Training Division (Ft. Hunter Liggett, CA). For World War I, personnel were first enlisted from the states of Illinois, Wisconsin, and Kentucky and were formed into an infantry division in 1917, whereupon they chose the formation's distinctive patch and nickname. Organized at Camp Taylor, Kentucky, in Sept., 1917. The division was composed of National Army drafts from Indiana and Kentucky, and remained in training at Camp Taylor until Aug., 1918. It was deployed to France in October 1918 to serve as a training formation for replacements which would be sent to the Western Front. At the war's end, the formation was recalled home and, without having seen combat actions, inactivated in January 1919. The 84th Infantry Division was activated Oct. 15, 1942, at Camp Howze, Tex., about 60 miles north of Dallas. Then, it was composed of the 333rd, 334th and 335th Inf. Regts. ; 325th, 326th, 327th and 909th FA Bns. ; 309th Engr. Combat Bn. ; 309th Med, Bn. ; 84th Sig. Co.; 784th Ord. Light Maintenance Co.; 84th QM Co.; 84th Recon Troop. It embarked on 20 September 1944 and arrived in the United Kingdom on 1 October, for additional training. The division landed on Omaha Beach, 1–4 November 1944, and moved to the vicinity of Gulpen, the Netherlands, 5–12 November. The division entered combat, 18 November, with an attack on Geilenkirchen, Germany, as part of the larger offensive in the Roer Valley, north of Aachen. They were supported by the British Sherwood Rangers Yeomanry. Taking Geilenkirchen, as part of Operation Clipper on 19 November, the division pushed forward to take Beeck (Geilenkirchen) and Lindern in the face of heavy enemy resistance, 29 November. After a short rest, the division returned to the fight, taking Wurm and Würm (Geilenkirchen), Mullendorf, 18 December, before moving to Belgium to help stem the German winter offensive (Battle of the Bulge). Battling in snow, sleet, and rain, the division threw off German attacks, recaptured Verdenne, 24–28 December, took Beffe and Devantave (Rendeux), 4–6 January 1945, and seized La Roche, 11 January. By 16 January, the Bulge had been reduced. After a 5-day respite, the 84th resumed the offensive, taking Gouvy and Beho. On 7 February, the division assumed responsibility for the Roer River zone, between Linnich and Himmerich (near Heinsberg), and trained for the river crossing. After crossing the Rhine, 1 April, the division drove from Lembeck toward Bielefeld in conjunction with the 5th Armored Division, crossing the Weser River to capture Hanover, 10 April. By 13 April, it had reached the Elbe, and halted its advance, patrolling along the river. Soviet troops were contacted at Balow, 2 May 1945. The division remained on occupation duty in Germany after VE-day, returning to the United States on 19 January 1946 for demobilization. It was redesignated a reserve formation on 21 January 1946. 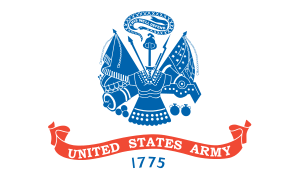 Following the conclusion of World War II, the division was made part of the Army Reserve. In January 1946, it was redesignated the 84th Airborne Division and headquartered out of Wisconsin. In 1947, it was designated as the Army's Airborne Reserve Command. Five years later, in 1952, the division was reorganized again, this time as a training division composed of three regiments—the 274th, 334th, and 339th. Throughout the 1950s, the division would continue its conversion to a training formation, changing its subordinate unit makeup from regiments to brigades and support groups. On 24 January 1991, elements of the 84th Division (Training) were activated and mobilized for support roles in Operation Desert Storm. Less than three months later, on 22 March 1991, the elements were returned home. 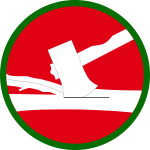 In 1993, reorganization within the Army Reserve brought about the a merger between the 84th and the 85th Division (Training). The move expanded the 84th Division's area of command to include the rest of Wisconsin and Illinois, as well as all of Missouri and Iowa. Soon after, in June 1994, units from the 84th participated in peacekeeping operations as part of the multinational in the Sinai, Egypt, and remained there until July 1995. In October 2004, the 84th Division (Institutional Training) underwent a major transformation. All eight brigades realigned under the 100th Division and the Headquarters and Division Band combined with the Army Reserve Readiness Training Center (ARRTC) located at Fort McCoy, Wis., to create the 84th U.S. Army Reserve Readiness Training Command (84th USARRTC). The expertise and resources from the two units gave the 84th USARRTC an edge on the type and amount of training opportunities offered. The three Army Reserve NCO academies were also realigned under the new 84th USARRTC. In September 2008, the 84th Training Command relocated from Milwaukee, Wisconsin and Fort McCoy, Wisconsin to Fort Knox, Kentucky. In October 2009, the focus of the 84th Training Command shifted from leader readiness to unit readiness. The Army Reserve Readiness Training Center and the three U.S. Army Reserve NCO Academies moved from the umbrella of the 84th and became the 83rd USARRTC which reported directly to the U.S. Army Reserve Command. In October 2010, the 84th Training Command reorganized to align with the transformation of the Army Reserve. The 84th Training Command is the executing agent of the U.S. Army Reserve's Combat Support Training Programs which includes Warrior Exercises (WAREX), Combat Support Training Exercises (CSTX). The 84th Training Command provides multiple collective training opportunities which prepare units for operational deployments worldwide.